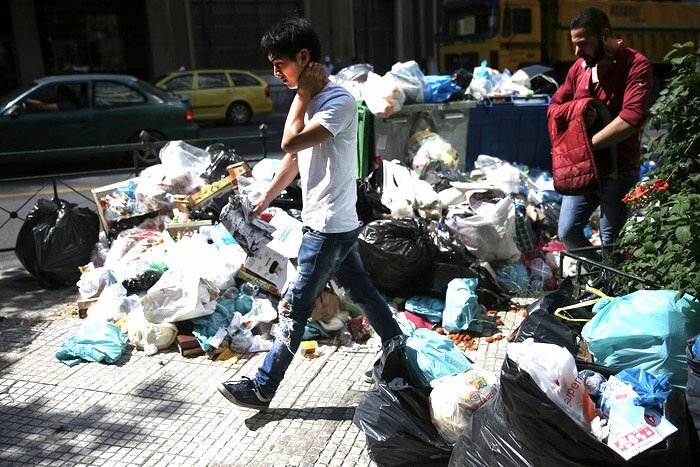 Municipal employees working in sanitation announced on Thursday the escalation of their labor action, a decision that will worsen the situation in Greek cities where garbage has piled up. Their union is protesting against a Court of Audit ruling which rejected as illegal an extension of their fixed-term contracts and is demanding their conversion into permanent employment contracts. POE-OTA union said they will continue their sit-in in municipal truck depots and blockade of landfills at least until next Thursday (June 29), will abstain from work this weekend (June 24-25), hold a work stoppage on Monday from 11am-3pm, and a 24-hour nationwide strike on June 29, with protest rallies in Athens and other major cities.